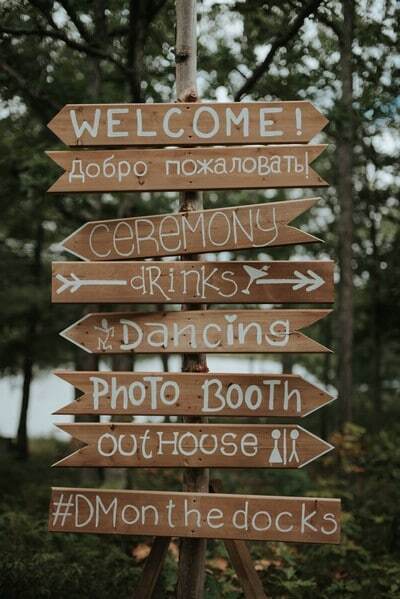 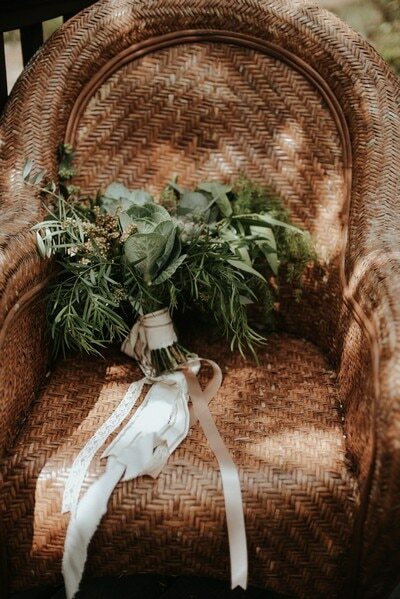 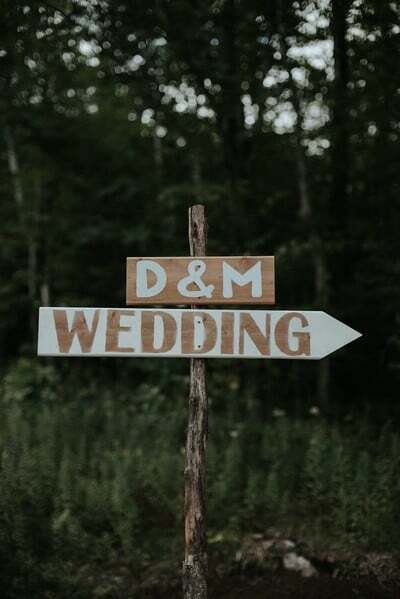 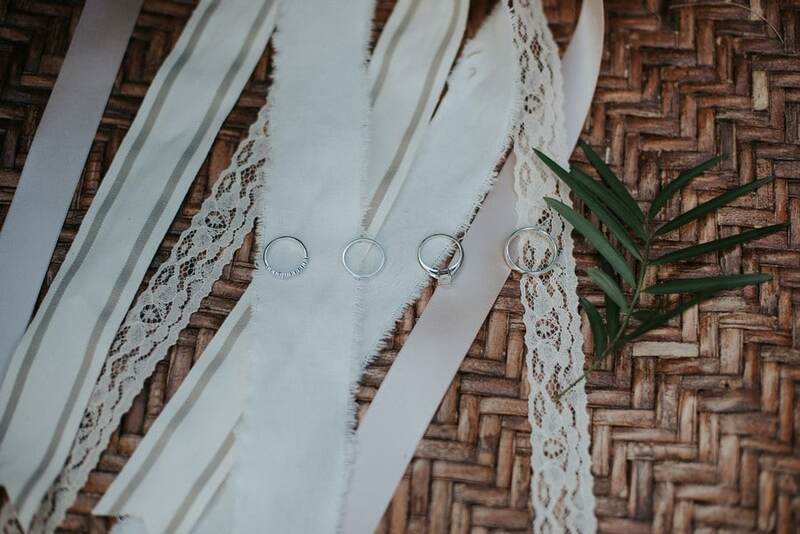 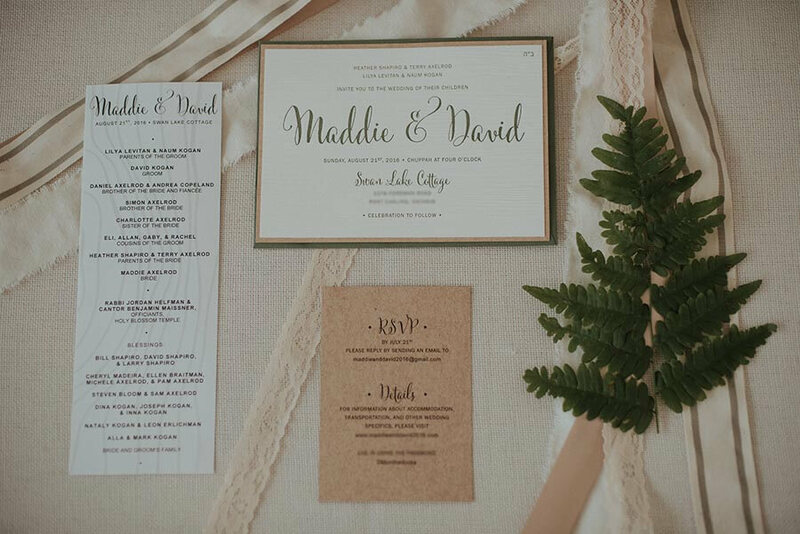 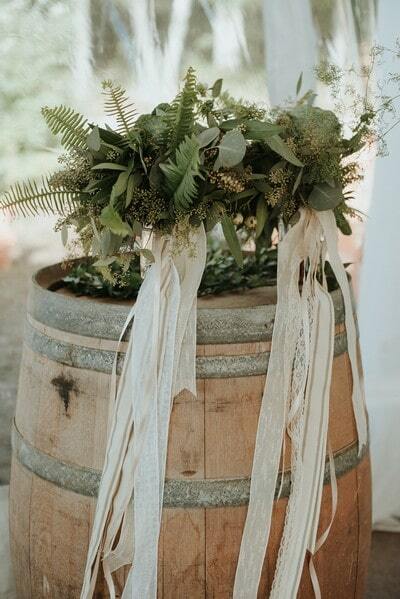 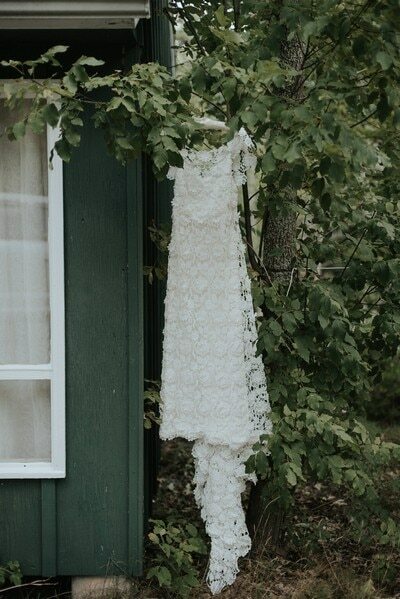 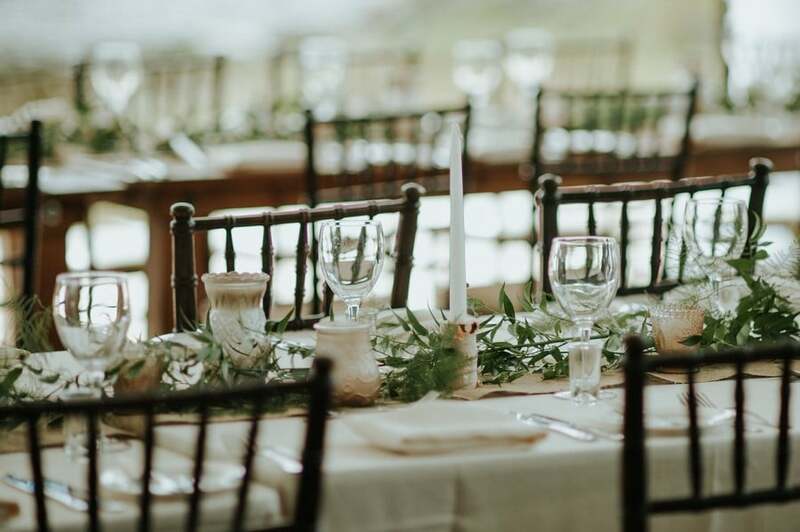 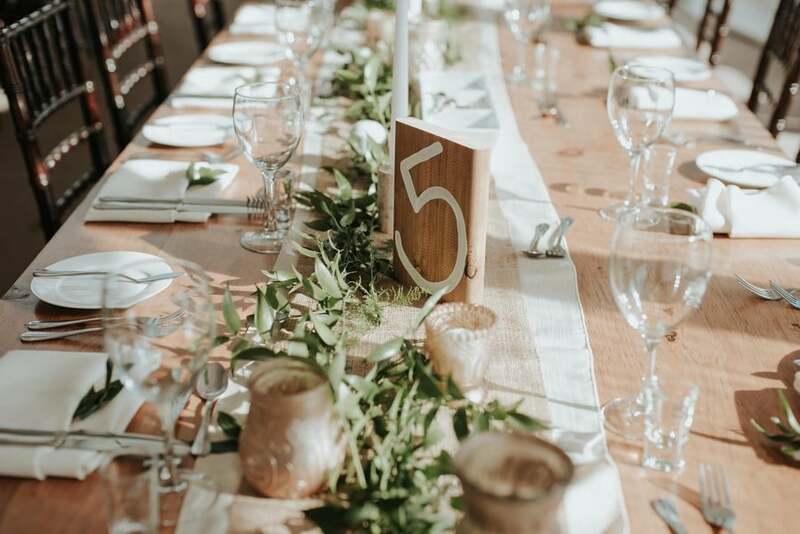 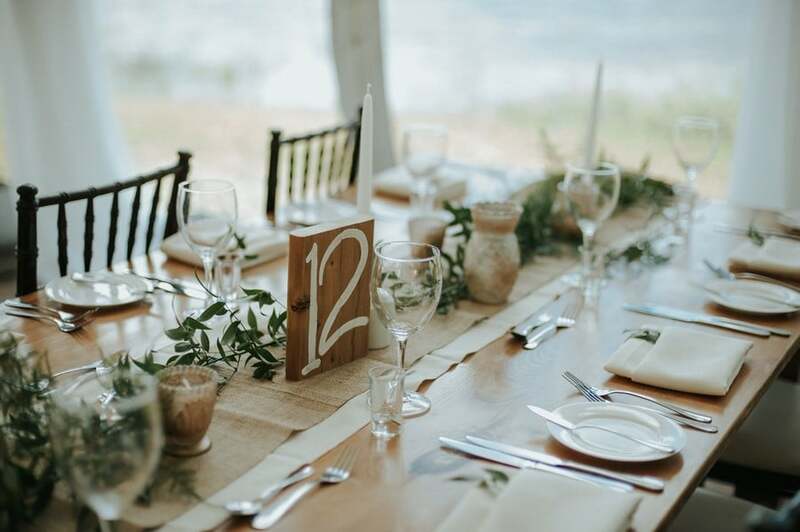 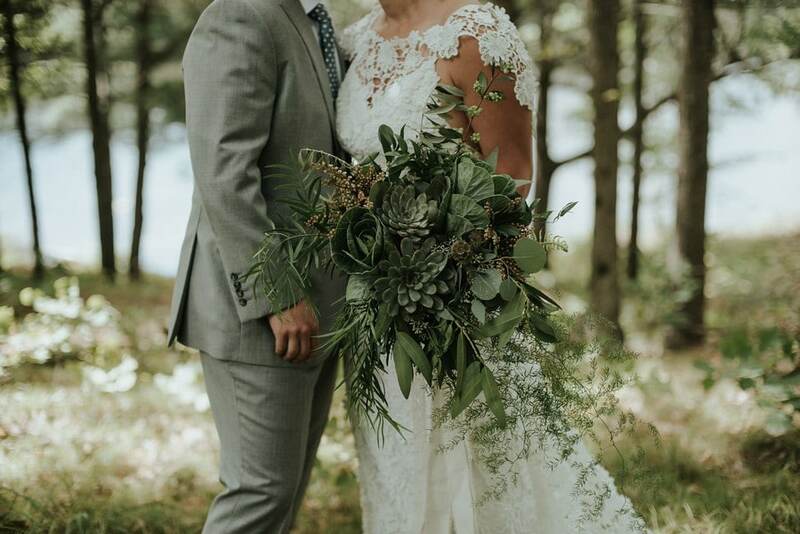 Taking inspiration from the gorgeous green surroundings, Maddie and David’s cottage wedding is a stunning blend of cozy and chic with tons of whimsical touches. 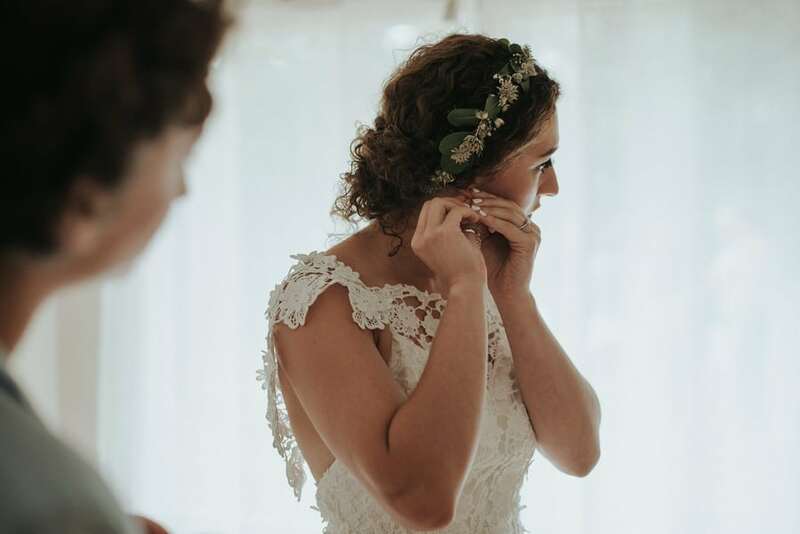 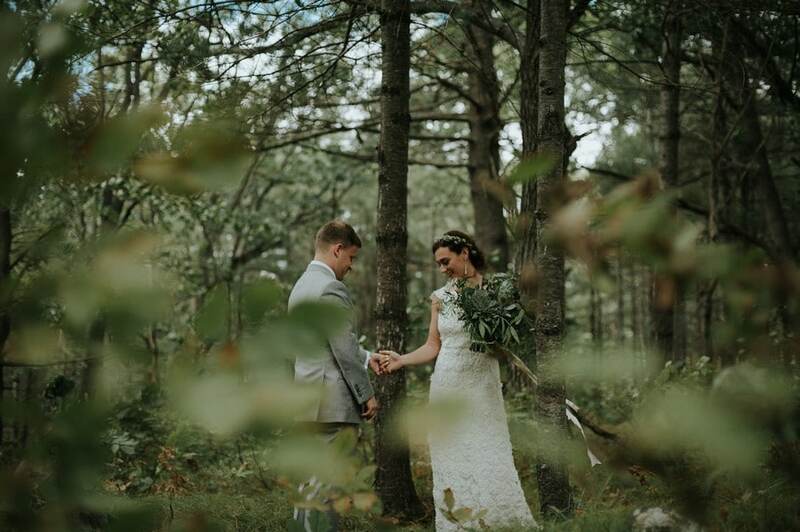 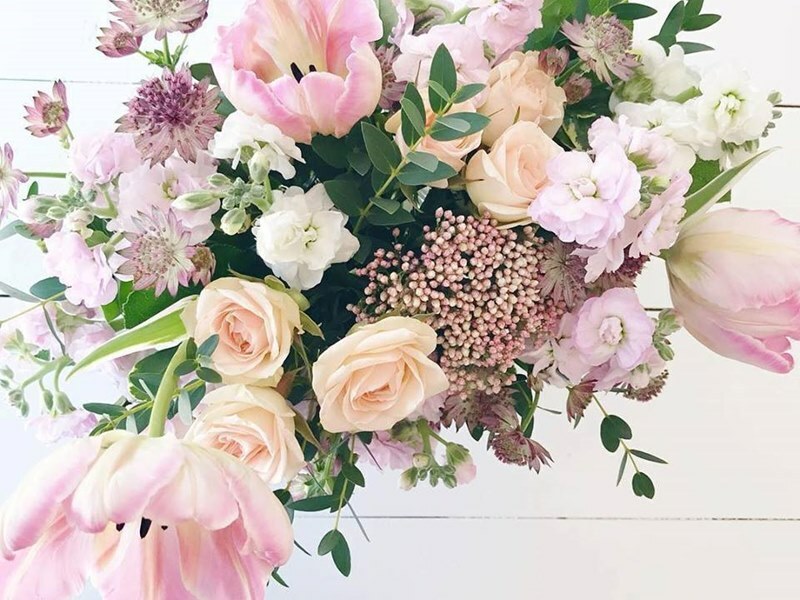 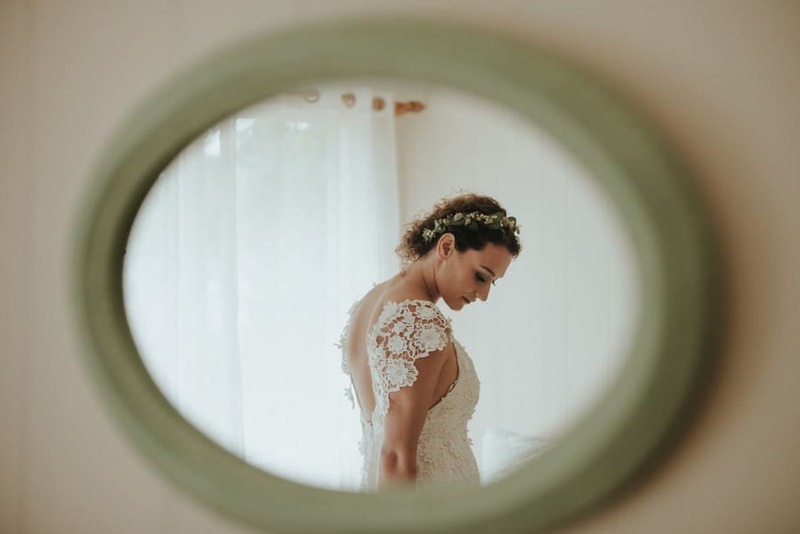 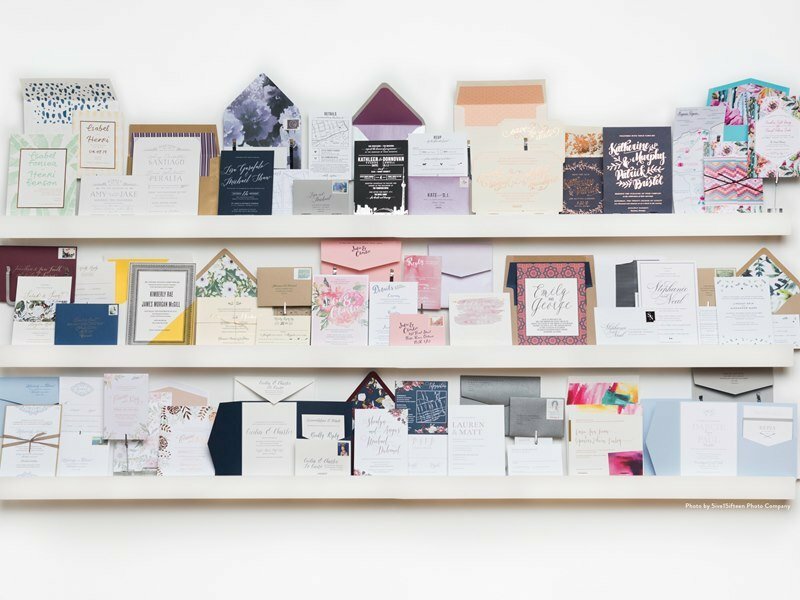 Elegantly executed by Angela from A to Z Management and beautifully shot by Jess Craven of Daring Wanderer, this is one wedding that you’ll be dreaming of for a long time. 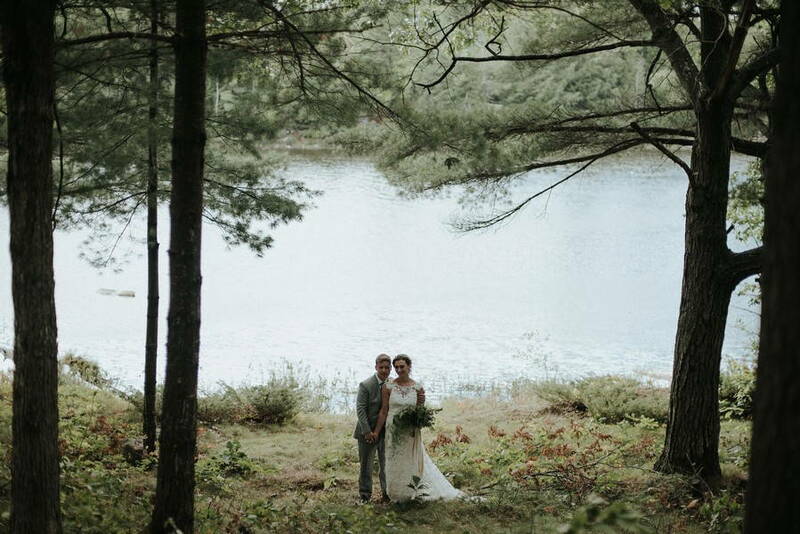 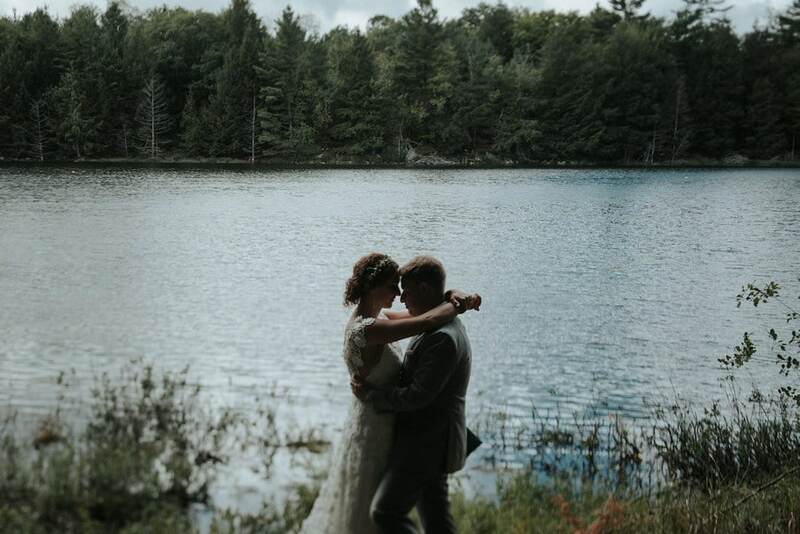 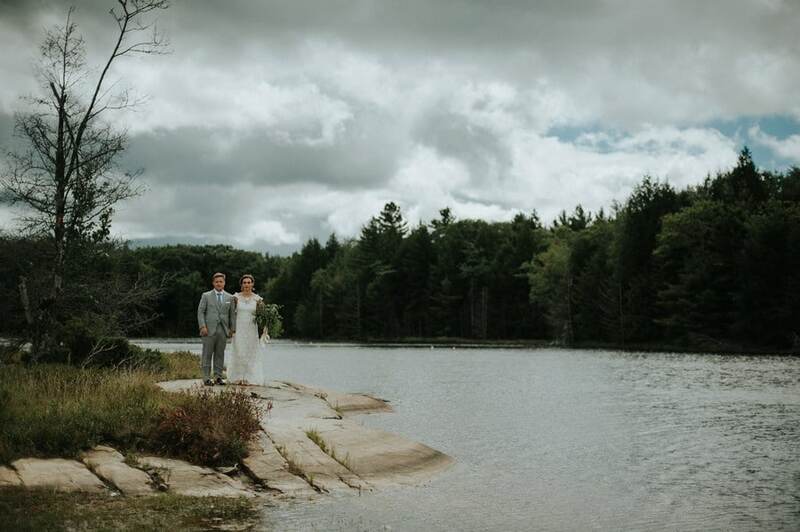 Breathtaking scenes of nature — including epic-ally tall trees and a tranquil lake — effortlessly accentuate the couple’s romantic photo shoot. 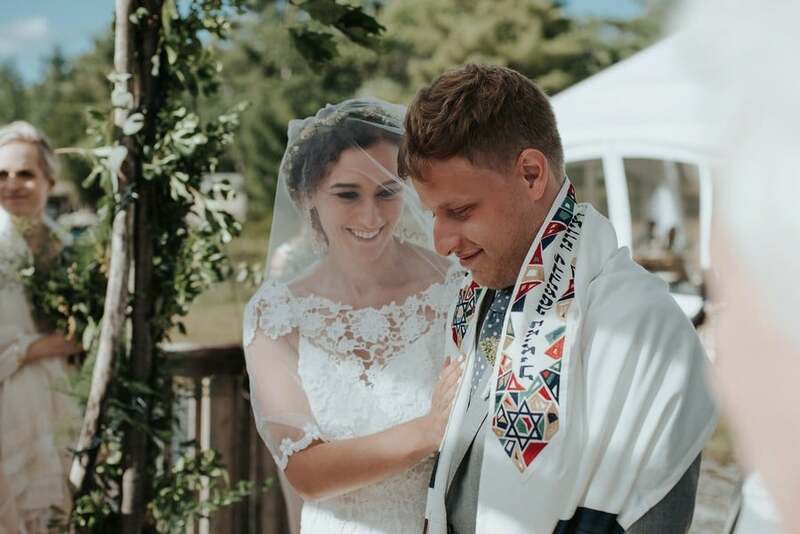 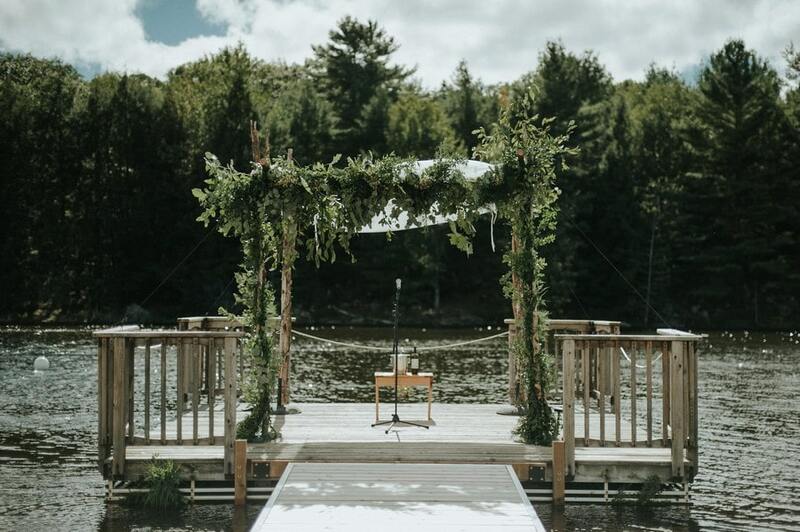 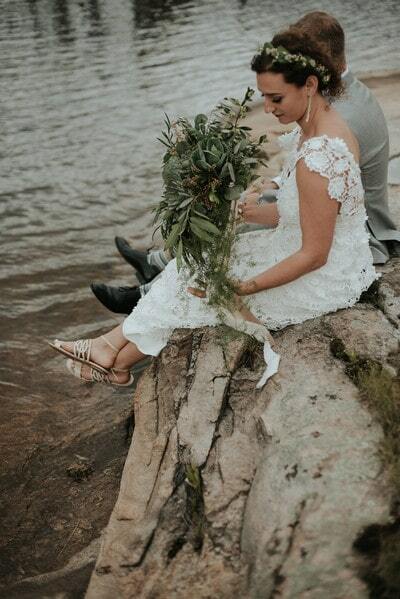 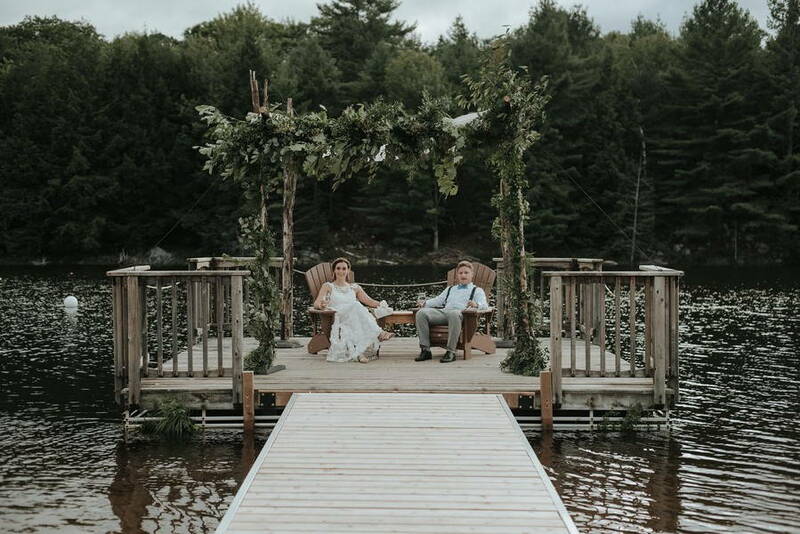 The intimate outdoor ceremony took place on a decorated dock that featured lush green foliage – perfectly encapsulating the rustic romantic vibe of the day. 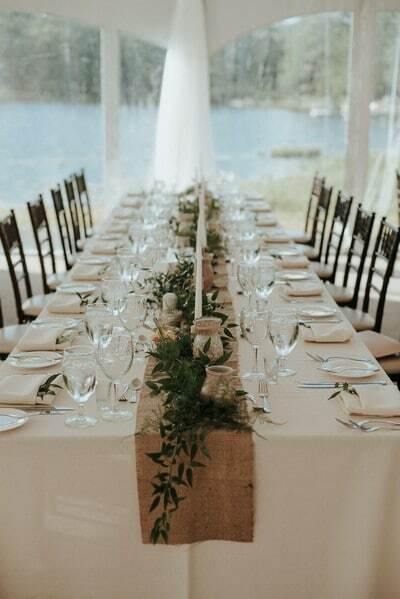 Taking place in a gorgeous tent by Eisfeld Event Management overlooking the water, the newlyweds’ reception was picture perfect. 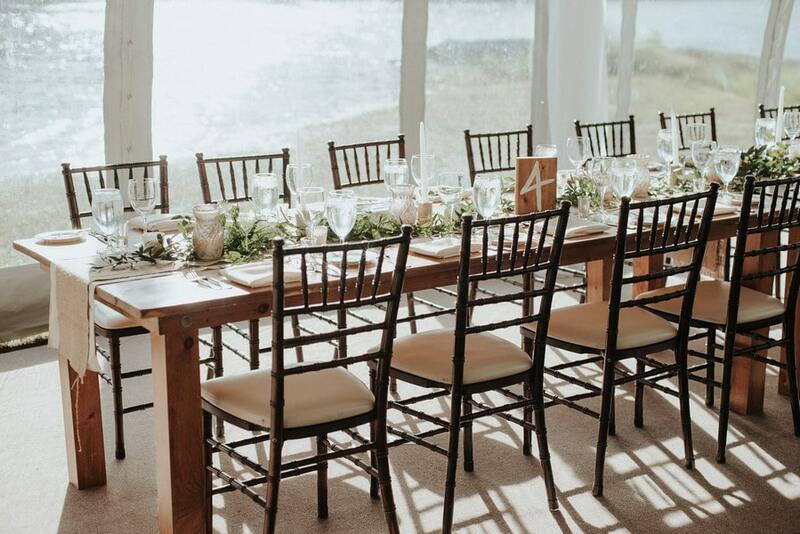 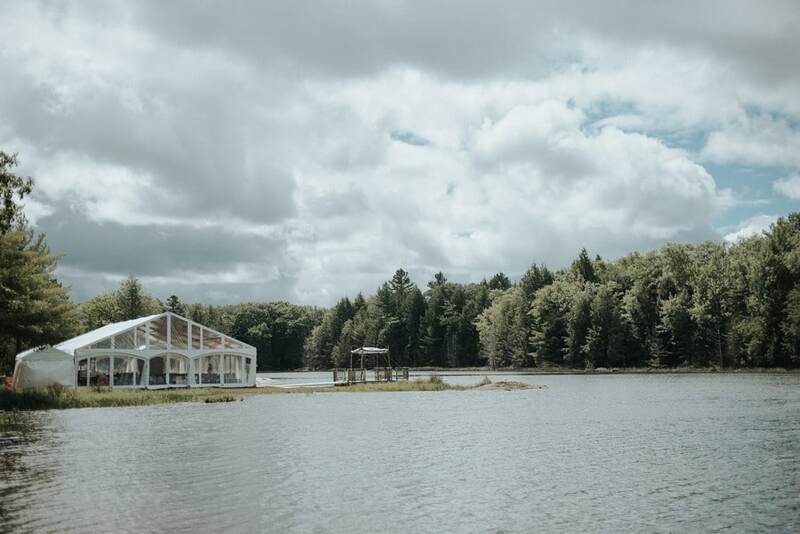 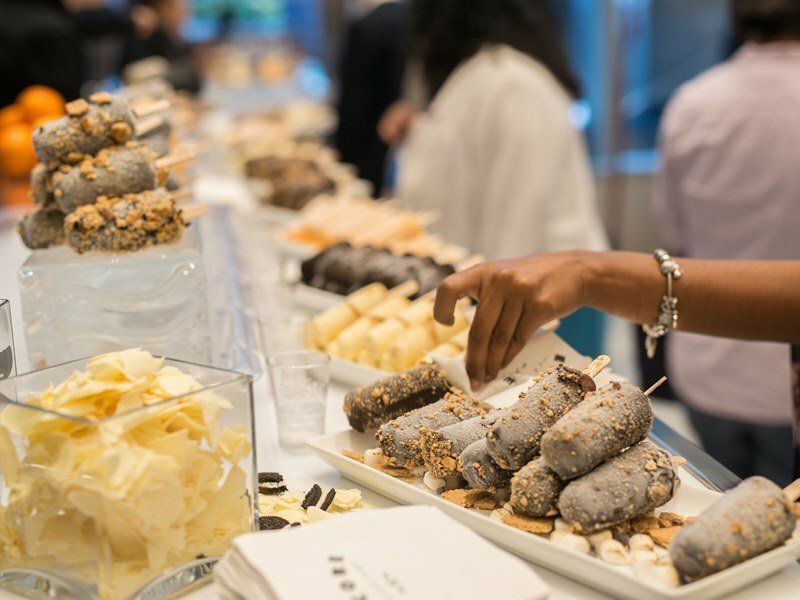 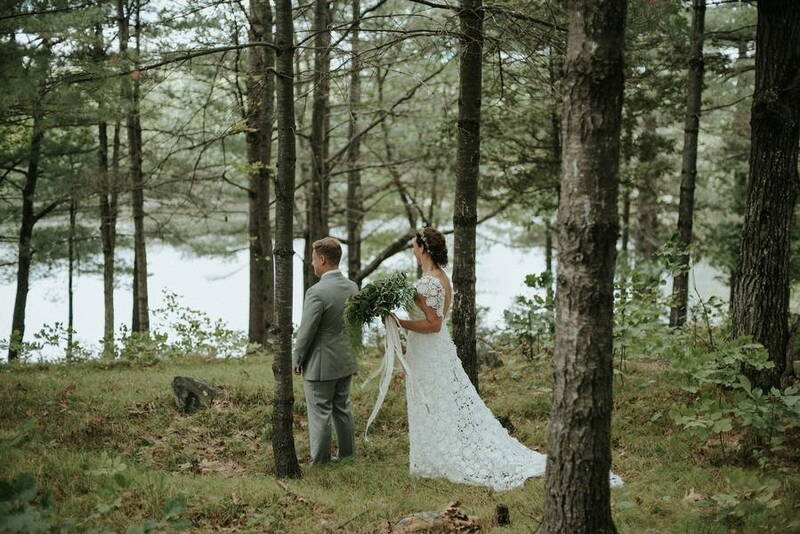 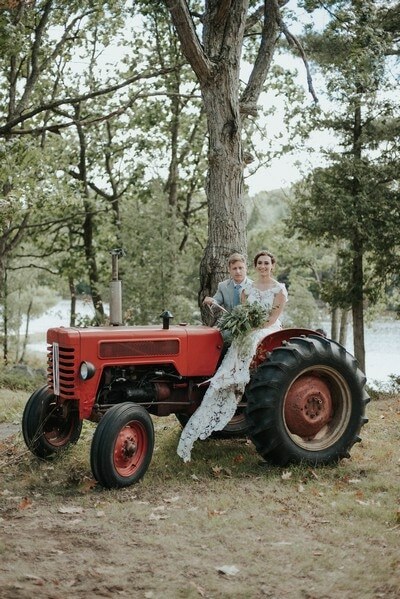 Embellished with natural elements and beautiful blooms by Tanya List Designs, and catered by Encore Catering, the affair incorporated the majesty of its surrounding wilderness with a sweet simplicity. 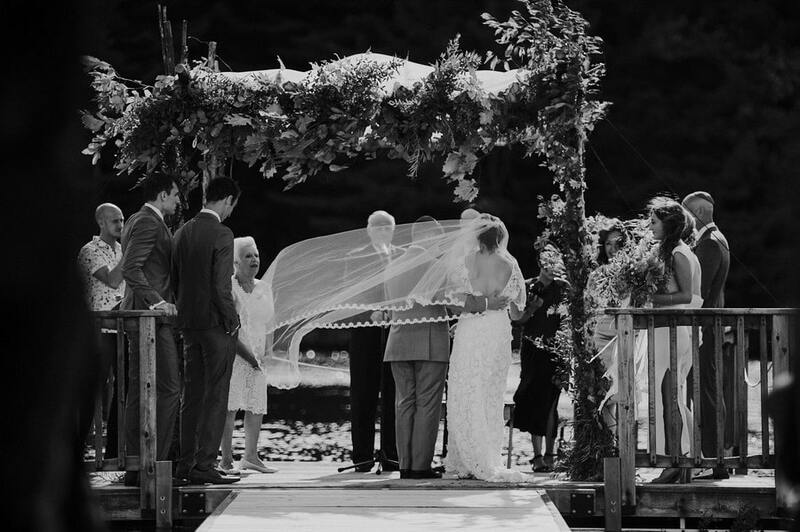 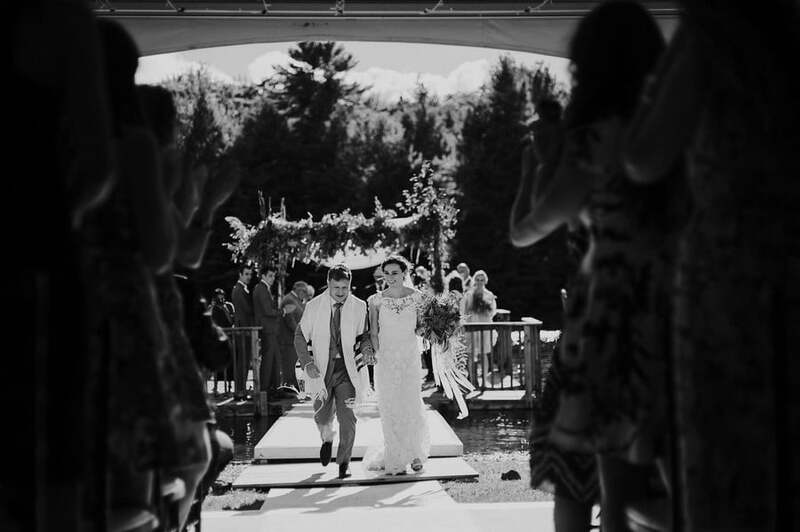 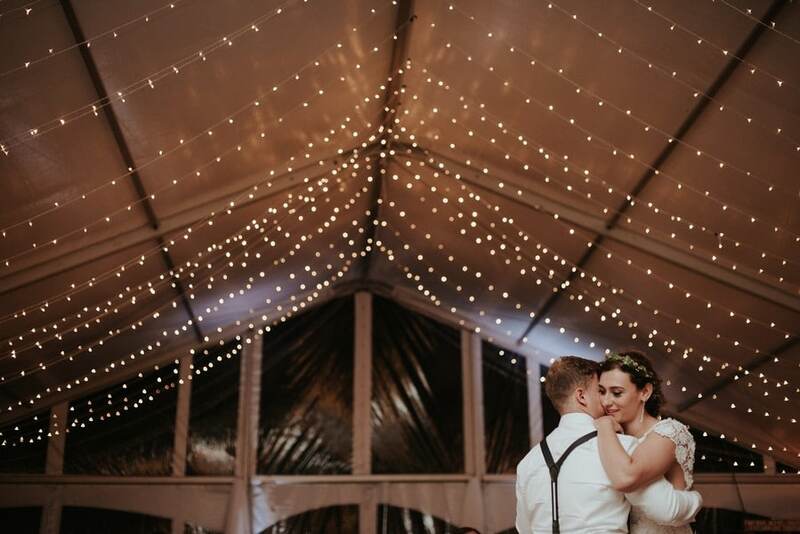 More from Maddie and David’s magical day in this highlight reel from Bright Sky Wedding Designs.